Outdoor kitchen and dining concept. Click to shop this collection. Pair with Breeze Lounge Collection. Functional, elegant and innovative design. Pair with Conic lounge collection. A modern statement in dining. Refined and exclusive design in teak. A beautiful visual collection with high comfort. Combining the classic with modern. Pair with Core lounge collection. Combining beautiful and elegant lines with great comfort. Designed by the dynamic Danish duo STRAND+HVASS. . Inspired by urban life in Copenhagen. Contemporary appearance, emphasizing Danish design. Minimalistic functional design without unnecessary details. Minimalistic functional design without unnecessary details..
A design statement of simplicity, comfort and craftsmanship. The perfect outdoor life in the garden. Classic and romantic country look. Pair with Chester lounge collection. 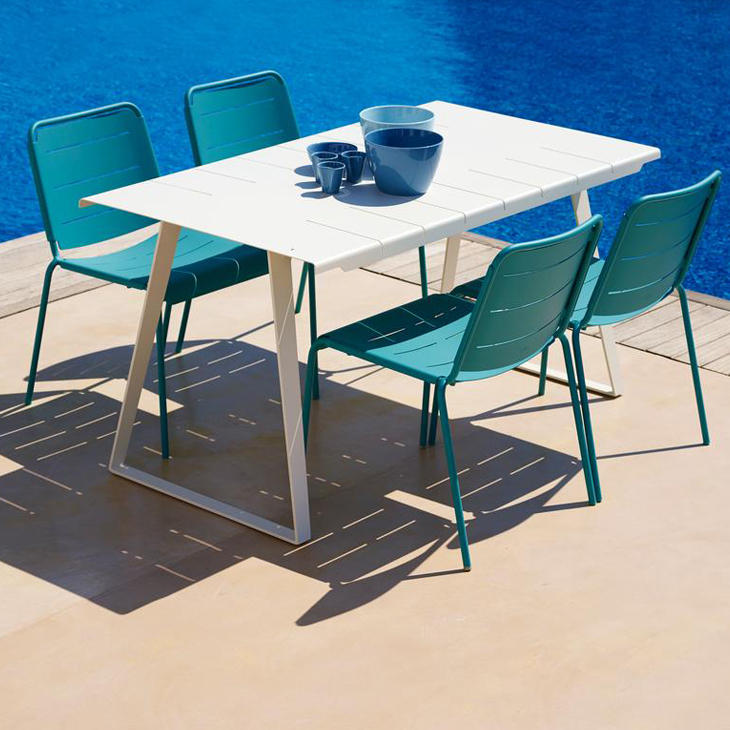 Enjoy your patio with the Mandalay Outdoor Dining Set. Mandalay Lounge Collection also available. A selection of tables sold individually. Picnic table dining with benches. A selection of chairs and benches sold individually. Coastal modern and so chic. Aruba Lounge Collection also available. 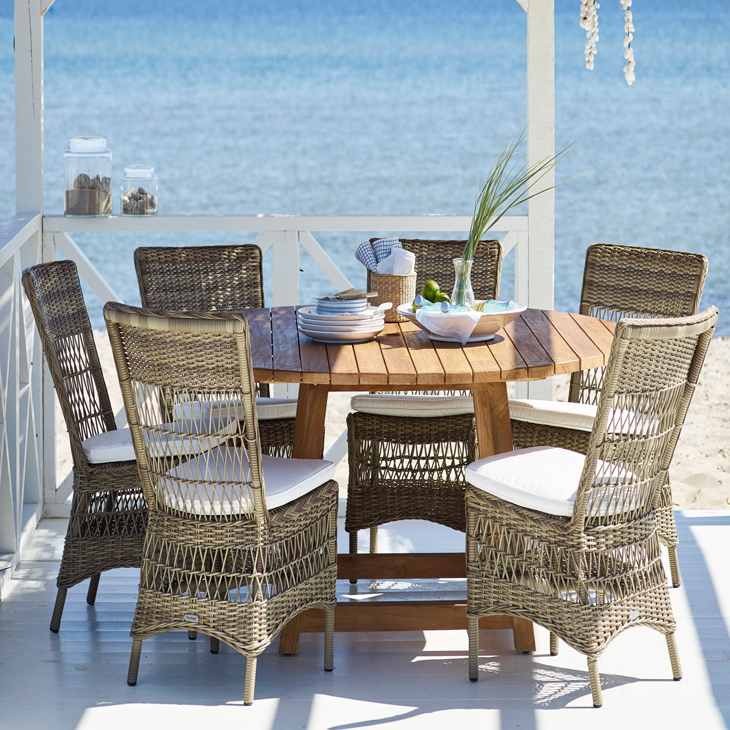 Enjoy your patio or backyard leisure time with the Mandalay Dining Set. Trinidad Lounge Collection also available. Available with White or Beige Fabric. Valencia Lounge Collection also available. An artistic addition to your outdoor space. Stunning.